One assumes the Bilingual No Children in The Shopping Cart warning is true to speakers of one as well as the other languages. 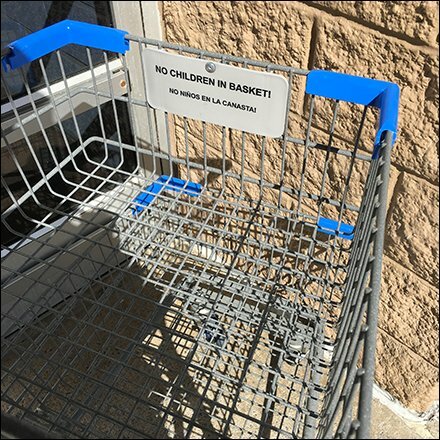 Carts were nevertheless equipped with fold down Child Seats so transport still possible as long as you follow the rules. Check visibility in the Bilingual No Children in The Shopping Cart gallery of images zooms.